If you love the classic raspberry ruffle chocolate bar, you're sure to love this brand new Raspberry Ruffle tea - you'll be feeling nostalgic with every dreamy, delightful sip! 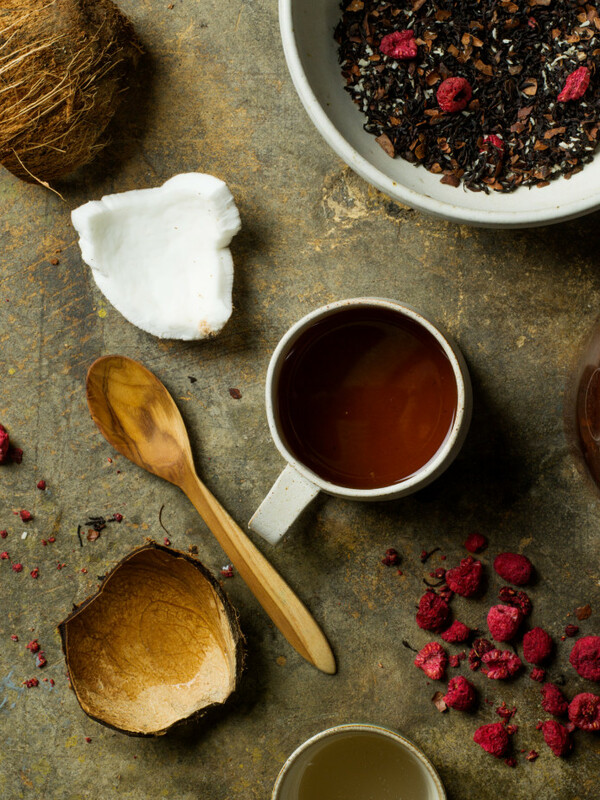 Black Ceylon tea with rich dark chocolate accentuated with the nostalgic combination of sweet coconut and punchy, zingy raspberry. The perfect ode to the old classic raspberry ruffle bar. 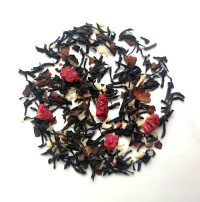 This starts with a Ceylon black tea base combined perfectly with raspberry, cocoa shells and coconut flakes.The choice of a lightly, malty yet big flavoured black tea base brings warmth and depth to the blend, a perfectly balanced flavour, not too sweet, nor too creamy with all the elements that you would expect coming through in just the right amounts. We don't just like this tea.... We LOVE it!!!! Now the choice is yours... at Suki HQ we think this tea is delicious with milk, it gives a real creamy, full-bodied flavour! So for a creamy, chocolatey cuppa (without the dreaded hot choc cals) just add a splash of milk! So far so good eh? Well done Alex! 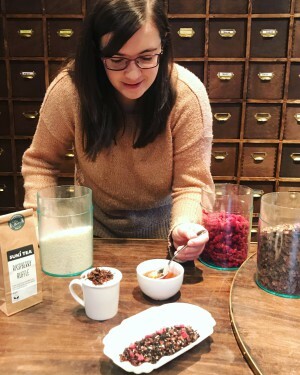 We think with raving reviews like these, it's worth giving it a go, if you have received your tea subscription box already this month you'll be lucky enough to have a sample of this tea already! If not, we have this tea on special offer all of March - meaning you can pick up your bag with a 50% discount all month! That's 80g for only £2.50 - get yours here!